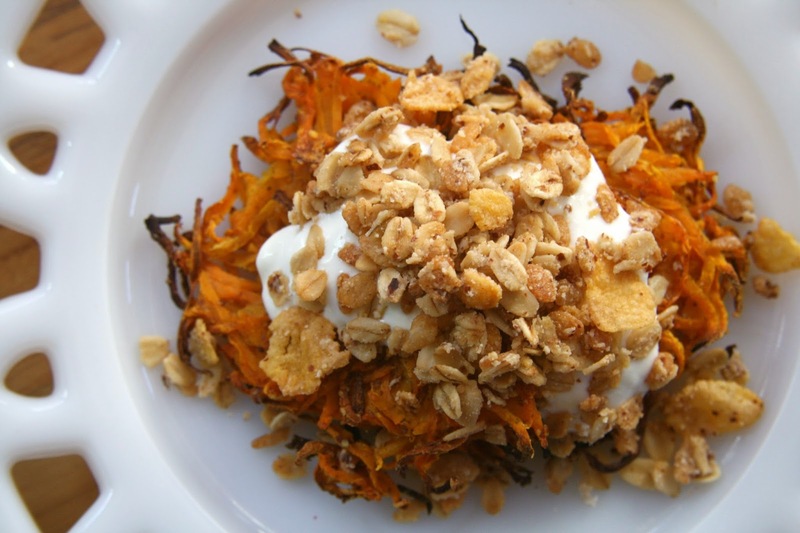 Finding Happiness, Butternut Squash Rösti and Crunchy Gluten Free Almond Granola Cereal! I want to start this post with saying that this weekend was really good for me in so many ways. I spent some amazing time with my men, I got to meet my niece and visit with my sister whom I haven't seen in 3 1/2 years, cooked A LOT, cleaned up the house some, did yard work (I'm so excited to get a garden going) and finished it all up with a walk last night at the park with my men. It was a much needed great weekend. I am, in fact Marvelous In My Monday! 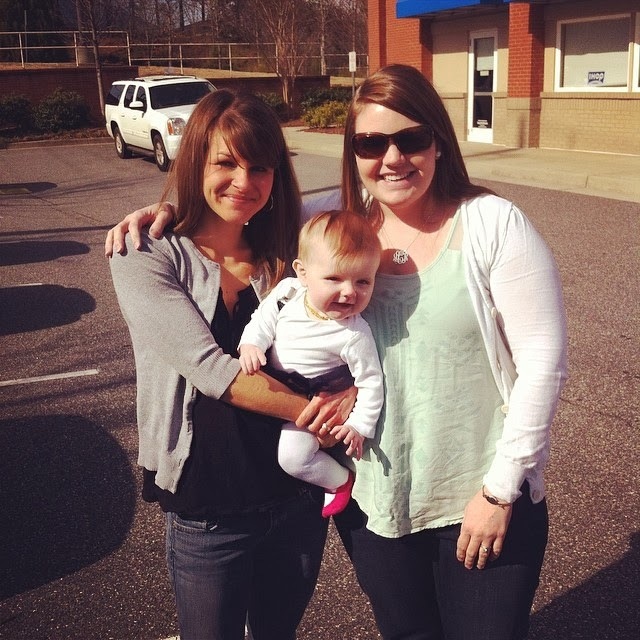 Me and my sister Whitney with her little one Audrey! It didn't help that my schedule was completely thrown off either. My work schedule along with the fact that the kids are in school for an extra 30 minutes for the next two months to make up for the snow days really was frustrating. I felt out of it (out of control) from Sunday through Wednesday of last week. That was definitely my rabbit hole to no place good. I made the decision on Wednesday night when I went to bed, that no matter what, I was waking up with a better mental outlook. I don't know that I believe you can always choose "happiness". I am a happy person in general even through the bad. I feel like perspective is everything and learning how to deal with the harder things in life is the key. I am really working on it. I have an incredible little family here and some amazing friends (thank you to all of you that helped talk me through last week). I just let the crap add up. I don't want to be that person. I want to be able to focus on the good and let the bad go. About 3 years ago, I was living in a pretty bad place mentally. I have worked hard to bring my focus to the here, the now and the good that is all around me. I'm lucky in that I have an incredible husband that seriously always has my back. The man is a gift from the gods…I swear he is. I must have been really good in a former life to get him in this one. I guess all of this is to say in an open forum that I am happy. I am going to make an effort to be happy even through the not so good times. I am going to take some time everyday to look around me and notice the special moments that I normally let slip by me. I'm also going to work harder at doing the things that make me happy (like walks at sunset). I sat at dinner with my three guys on Thursday and Friday night. This is something that can't always happen with our crazy schedules. We all laughed so hard at stupid stuff for an hour both nights. I'm going to make a point of doing this so much more. While I know I can't always control things in my life, I do have control over how I deal with them. I need to go back to my New Years intention and focus on living purposefully. This recipe is really simple and really delicious, especially if you like texture with your food. 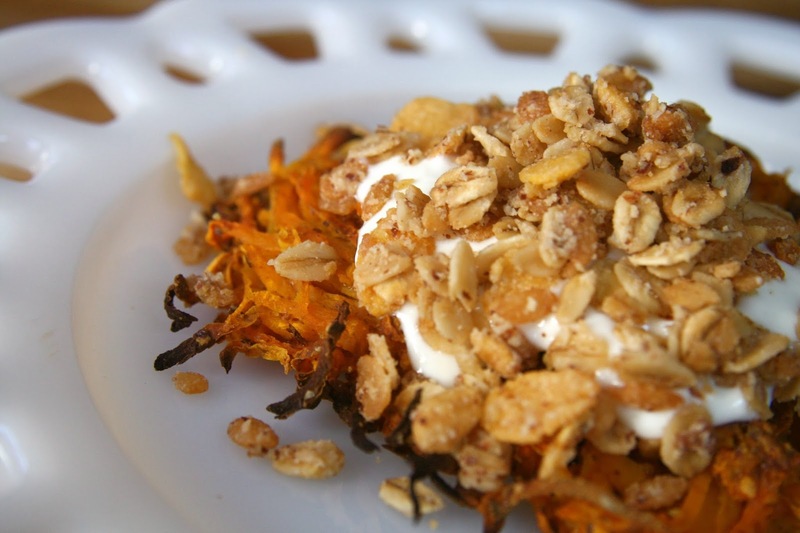 These little baked butternut squash rösti are soft on the inside and crispy on the outside. I have to confess, I'm not a fan of savory winter squash dishes. I mean, I love winter squashes, but I either eat them plain or I make them slightly sweet. So, I made these two ways…breakfast and dessert! Don't stress over the look of these. This recipe is definitely an metaphor for finding the perfection in the imperfect. The messy part is where are the crunchies come into play. 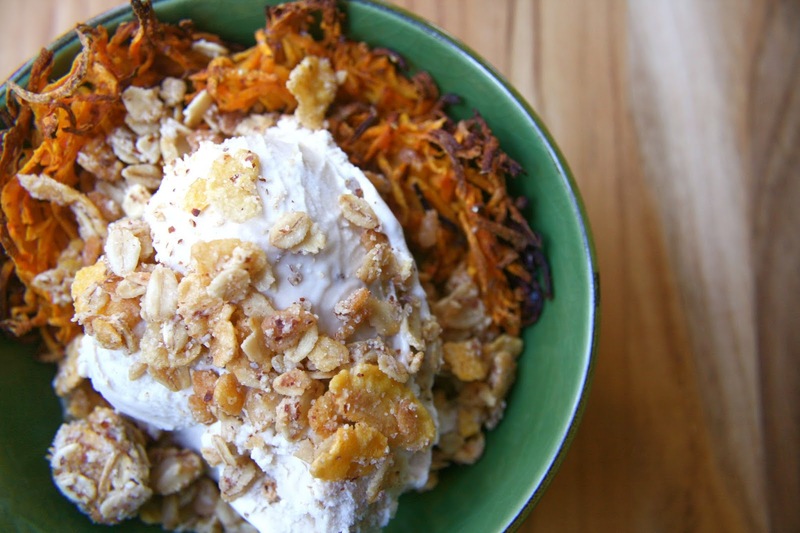 Served with yogurt and crunchy almond granola cereal. Preheat your oven to 400°. Line 2 baking sheets with parchment paper. Combine everything together and mix well to make sure all of the squash is evenly coated. For each röti, scoop about 1/2 cup worth onto the prepared pans. Bake for 15 minutes, then flip (carefully making sure you scrape it all off the parchment and just fixing them as needed) and bake an additional 15 minutes. Allow to cool slightly. Bob's Red Mill has a new product out! 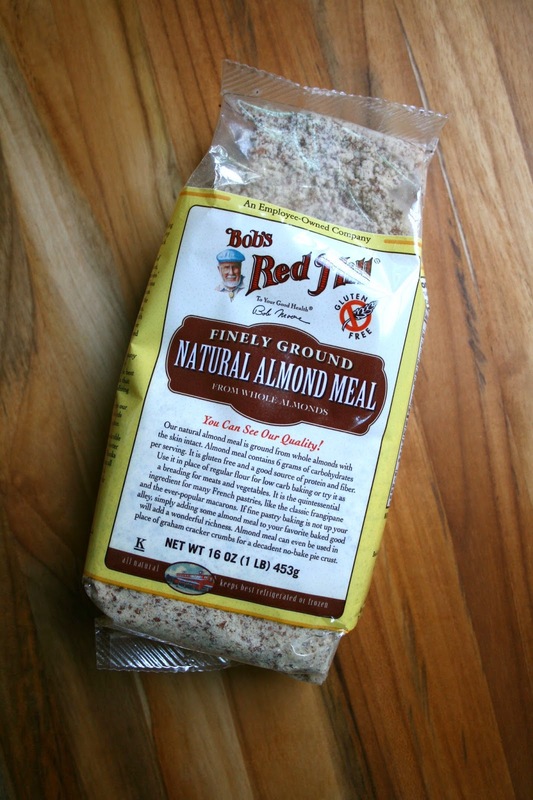 Natural Almond Meal! This stuff is amazing! You can bake your gluten free goodies with it and it works like a charm with my granola so I don't wreck my food processor! Such an amazing product! 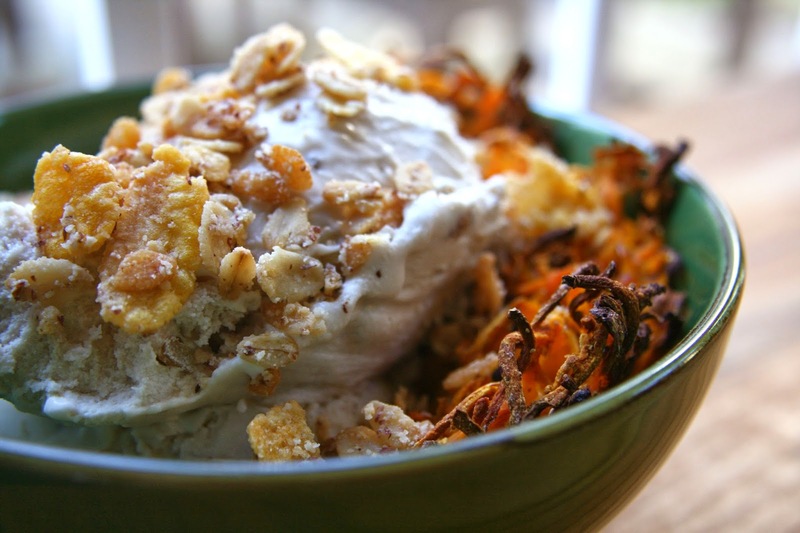 Served with maple walnut dairy free ice cream and crunchy almond granola cereal. Preheat the oven to 275 degrees. Spray a 13 x 9 pan with coconut oil. Combine all of the ingredients in your prepared pan. Stir everything together smashing up the cereal as you thoroughly combine the ingredients. Bake for an hour to an hour and a half stirring every 15 minutes. Allow to cool and enjoy! The Rosti looks so easy and so delicious! 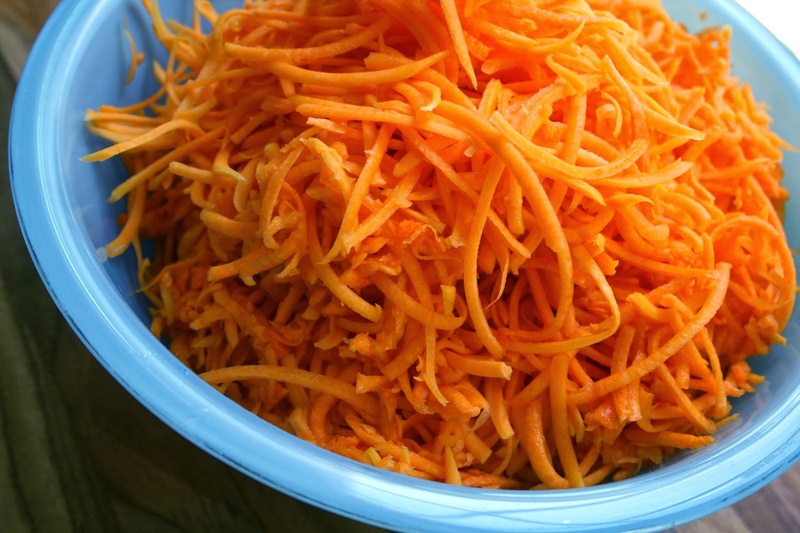 I chose butternut squash for MMAZ, also, but I never would have thought to shred it! I'm glad you guys got to sit down and have a relaxing couple of dinners. It's been a crazy year... but spring is coming! If I had any food left in my house I'd be making that Roti right now. That looks amazing! you're so creative in the kitchen! Looks divine!! Sweet and crunchy-Yum!! But this rosti looks so fun, what a great idea!!! I'm glad the second part of your week went better than the beginning. Sometimes, it is all about perspective and getting outside of your own head. When I find myself feeling somewhat disgruntled or down, I make gratitude lists or try to meditate. It usually helps. Well, I'm up early this morning (and early means I'm not waking up just in time to get my daughter to school). It's nice to have some extra time to get ready - I've never been an early riser...such a night owl. So I'm up early and reading your post and I have to say, I can completely relate. On a personal level, I had a pretty difficult past and childhood, so I am constantly fighting those memories and negative feelings. And some days I just need to feel sort of...blah (and feel that), but yes, I hear you on using some good behavioral strategies to pull out of the negativity. I also do this and try on a daily basis. I think about how my children are healthy and that shoots be into a very grateful place. I also think about the many wonderful things in my life (like you) an awesome husband, a home, good friends, access to healthy food and clean drinking water, etc. But sometimes thinking about those things still doesn't pull me out of the funk. Sometimes we just need time to help us process what is bringing us down...time is such so healing in that way. Have you ever read the book "The Happiness Project?" If not, I do recommend it. It's a quick read and goes chapter to chapter, which is good for infrequent reading. Your butternut squash dish looks amazing. 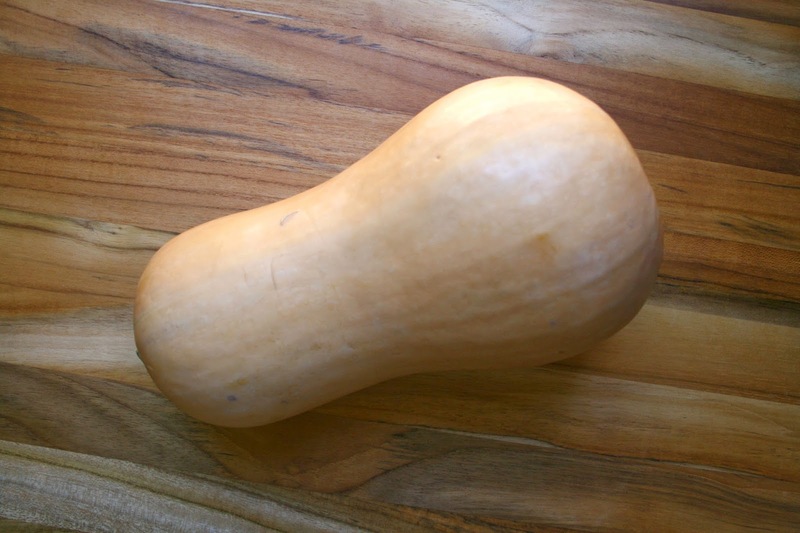 I LOVE butternut - so sweet and healthy. It's always gentle on my digestion. Well, now it's time to officially start the day with a shower, so I will jump off here. I have a sign over a large wall mounted jewelry case across from my bed that reads, "Wake up and be Awesome." I see it right when I get up. Some mornings I flip it off, because, well, you know, and other mornings I'm like, "Yes,I can do that (or I will honestly try)." Nice Blog with great ideas, Thanks for share this blog with us..